This project uses the book Sky Tree by Thomas Locker as the inspiration for both student dance and visual art. The students learn through creative movement/ dance the transpiration water cycle that trees use. Students demonstrate their understanding of a season by creating a “sky tree” image of their own as well as a poem. This one-sheet lesson plan provides the overview of the lesson which takes about a week to complete. 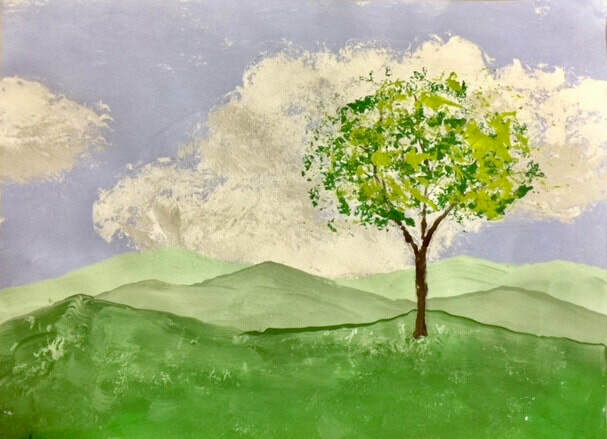 The sequence of steps used to create a sky tree painting using tempera or acrylic paint are detailed in this slide show.